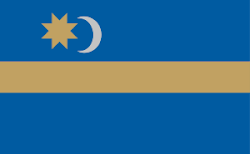 Informative blog about Hungary, good work! 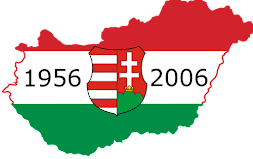 Thank you, follow us regularly for news about Hungary and Hungarian politics. 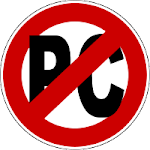 thanks for this "political correct free" news blog! With the majority of mainstream media misleading people, it's about time someone tells the truth about Hungary. you are so right about this István! 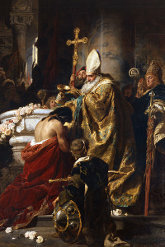 May﻿ the Polish-Hungarian brotherhood last for ever! We love Hungary. Polak, Węgier, dwa bratanki. Welcome to the Free Hungarian Voice. We thank our Polish friends who came to Budapest on March 15, 2012 to support Hungary and the Orbán government against the EU. God bless Poland. Hi Istvan; could you point me please to more information I can read about two things on your site. 1 - the Rongyos Garda (1921), as shown in the photo on your site. I'm interested in finding out more about them. Any web links? 2 - the 1956 freedom fighter named as Erika; again, any research about her? 1- The Rongyos Garda, known as the "Ragged Guards" in English, were a Hungarian non-regular paramilitary set up in 1921. They were a mix of veterans from World War One and citizens (militia). 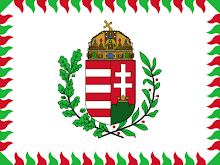 They defended the Hungarian territory around the city of Sopron after the Treaty of Trianon (1920). The Austrians wanted to seize that part of Hungary after WW1. The area was a mix of Hungarians and German-speakers. The Garda successfully led attacks against the Austrians forcing them to leave. 2- Erika was a 15-year-old Hungarian freedom fighter during the Hungarian Revolution of 1956. 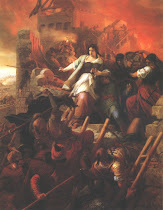 Her photo became world famous as the "unknown" Hungarian girl fighting for freedom. We now know that her name was Erika Szeles. She was a student at a school in Budapest when the revolution broke out. 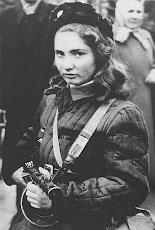 She was shot and killed by the Soviets in an operation during the revolution. God bless the Hungarian Revolution of 1956 and the freedom fighters! Keep fighting for "real" democracy and freedom. Don't be a slave to foreign powers whether they come in a military uniform or a business suit. Thank you Alex! We Hungarians have had a lot of intervention and interference in our long history by foreign powers. We are ever vigilant especially after the 20th century. We have learned that business suits can be just as dangerous as military uniforms. I am very interested in all that concerns life in Hungary because we are moving to Hungary in one year (my wife is hungarian) and all you can read in the mainstream media is catastrophic. I've been there for some months last year and I saw a different story. Thanks for your fresh information. Thank you for following our news blog. We like to provide a fresh view on recent events in Hungary. The left-leaning mainstream media both in Hungary and the world have portrayed Hungary's conservative government in a negative light. Half-truths and outright lies have mislead people around the world. The people of Hungary are not fooled by what the media says about our government and soon the rest of the world won't be either. Merry Christmas to the Free Hungarian Voice! Wishing István and friends the very best this Holiday Season. Wishing you all the best this holiday season. Health, happiness and prosperity for the New Year! Wishing you a Happy New Year. Thank you for visiting us. Thank you.We are the great. Hello, I don't understand your comment. Thank you for visiting the Free Hungarian Voice! I have been a victim of police brutality,and many attempts on my life by police,and we always support those who expose the truth of police brutality at Tom Thumb and friends.Always looking forward to hearing from you at Tom Thumb and friends.Thank you. Thank you for visiting our blog site. The police should always serve the public and never be above them. Unfortunately, there are cases in which the police have acted brutally against those they are supposed to serve. Hungarians experienced this back in 2006 when the former socialist government (former communists) unleashed the police on demonstrators in Budapest and around Hungary. The result was that many people, which included women, children and the elderly, were beaten or assaulted by the police. Rubber bullets and tear gas was used by the police which was deemed as a huge over reaction. Even tourists who were minding their own business but happened to be in the capital in October of 2006, were beaten for no reason. The former socialist government was highly criticized by other political parties for the violent police actions. We can now say that the Budapest police force has been cleaned up under the conservative Fidesz government. No longer are Hungarians being beaten by the police for exercising their democratic right to demonstrate or protest. There have been many left-wing demonstrations recently, but not once were the protesters beaten as they were under the left-wing socialist government. There is a clear difference. Charges have now been officially filed against former national chief of police Laszlo Bene, former Budapest police chief Peter Gergenyi and about a dozen police officers over their roles in the anti-government riots back in 2006. Actually I was looking for information on II. Ferenc Rakoczi, then I came across your blog page. I finished reading Mikes Kelemen's Törökországi levelek and I've visited rakoczi museum in Tekirdag today. I've heard somewhere Rakoczi is a controversial political figure in Hungary. Here in Turkey, we perceive him as a national hero of Hungary. I wonder if his legacy is really cherished by all Hungarians or not? Hello Anonymous, thanks you for visiting. To answer your question, Ferenc Rakoczi was a Hungarian hero. Any patriotic Hungarian believes this to be true. 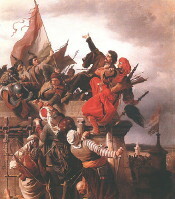 Rakoczi fought against the Austrians, and had to leave Hungary. The Turkish Sultan let him settle in Turkey (Ottoman Empire). 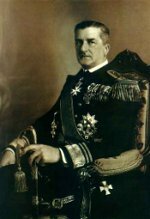 He could never return to Hungary again as the country was under Austrian rule. 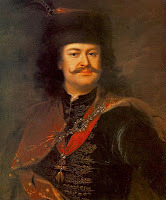 His remains were later returned to Hungary and reburied. 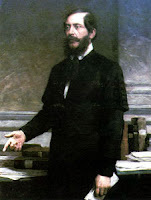 His legacy is cherished by a vast majority of Hungarians today unless they are not ethnically Hungarian (Magyar) or they are on the far-left wing in Hungary. The Hungarian left-wing is trying to rewrite history and falsify the importance of our historical figures in the attempt of minimizing nationalism and national pride in our history. Thank you for visiting us! Please feel free to help spread The Free Hungarian Voice to your friends, family and co-workers.